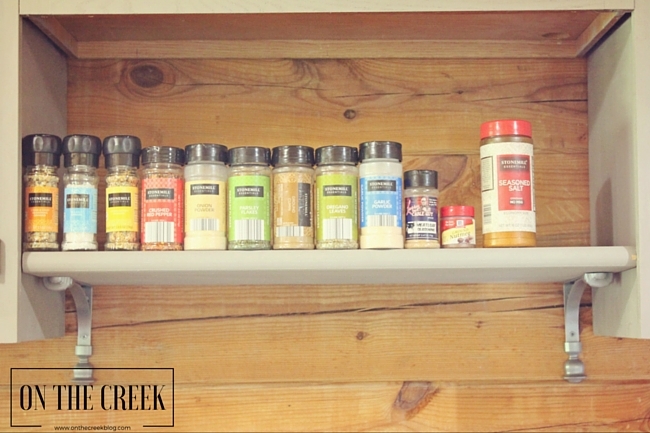 A full kitchen reveal is coming soon, but here's a quick preview of the DIY spice shelf my husband and I made! 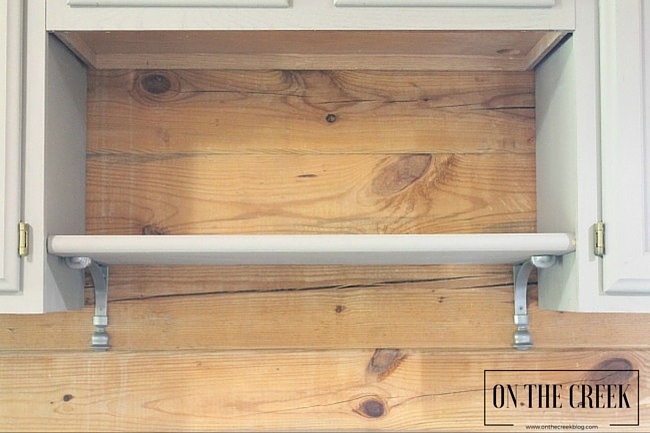 We actually used a stair tread to make this shelf! I liked the curved front. I painted it the same color as my cabinets. 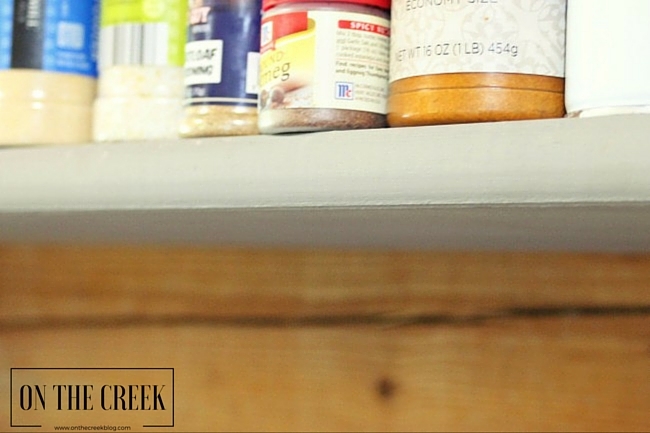 We found the shelf brackets on clearance and put it all together to make a cute and usable spice shelf!